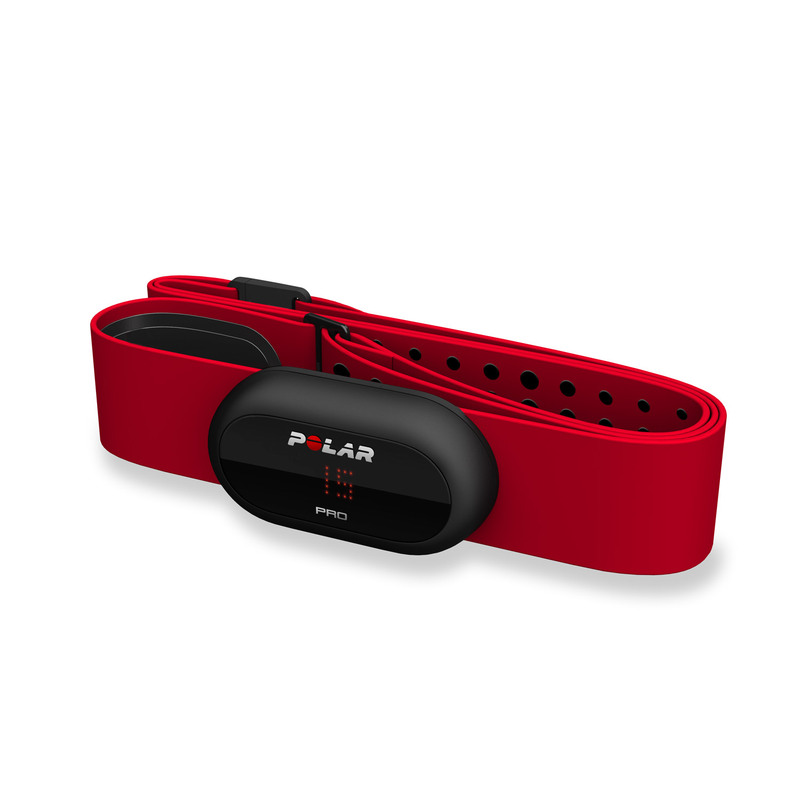 Designed for professional team sports, Polar Team Pro combines high-precision GPS-derived movement data, inertial sensor metrics and integrated heart rate monitoring, into a mobile and easy-to-use, wearable player tracking system. Get valuable insights into athlete performance, prevent injuries associated with overtraining and win more games through actionable, science-based training data. "Polar Team Pro provides us with useful data such as heart rate, speed, and acceleration, so we can get the best out of the training and control the intensity perfectly." Polar Team Pro offers a compact and intuitive mobile setup without any additional base stations or external antennas. Get accurate pro-level player performance data to follow your team’s training on your iPad in real-time. Polar Team Pro is a robust and easy-to-use tool for mapping athlete performance in real time and afterwards. Analyse everything on the go or after the training, gain insights into the physical performance and training load of individuals and your entire team, in a safe and secure way. Make athlete monitoring easy and seamless with Polar's scientifically validated wearable sports technology. 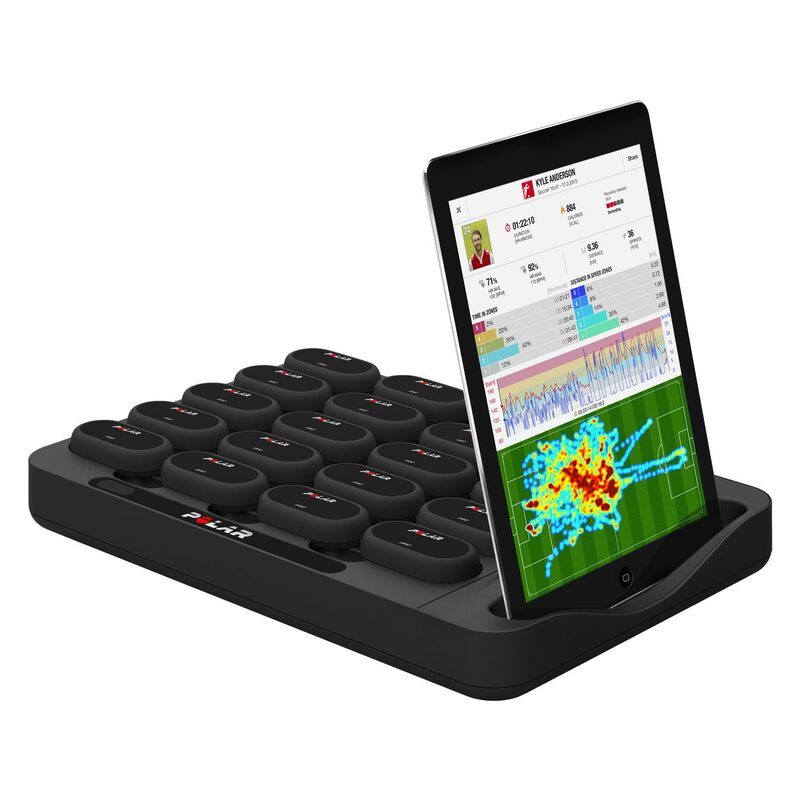 The Polar Team Pro Sensor collects real-time performance data of your team’s training and delivers it to the Team Pro app on your iPad with elite-level accuracy. The Polar Team Pro smart shirt comes with integrated heart rate measurement. It has a designated pocket for the Polar Team Pro sensor. The fabric is comfortable to wear and transfers moisture away from the skin. 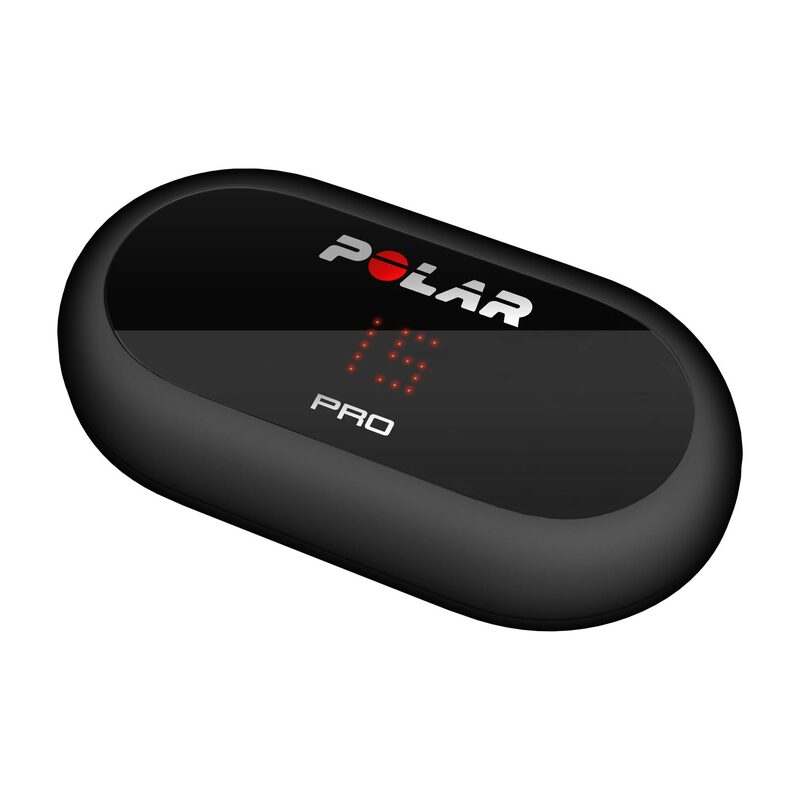 The Polar Team Pro dock syncs offline training data from the Polar Team Pro sensors to the Team Pro app on the coach iPad. You can also use it to recharge both the Polar Team Pro sensors and the iPad. Compatible devices: iPad Air or later. Monitor your team's real-time training data, compare players, get training summaries and analyse performance right after a training session. The Polar Team Pro player monitoring app supports live performance data for up to 60 players. Analyse your team's performance, customise their training and get better results with the Team Pro web service, our cloud-based player tracking system. Available in 19 languages. Monitor your team’s effort and performance and make sure your team trains at the right intensity level at each training session. Combine the data from your team sessions with the data from each player’s personal workouts to get the full picture of each player’s training. You’ll also be able to view their daily activity, sleep and recovery status. Speed zones allow you to define the intensity of a training session with speed or pace. You can edit the zones in the Team Pro web service. Speed zones are customisable for different sports. Monitor the number of sprints each player takes during a training session. The Training Load value makes training sessions easily comparable. You get a training load value from each training session, and you’ll be able to see how a short high intensity session compares to a longer low intensity session. Training Load also gives you an estimate of recovery time. Recovery status is an estimate of a player’s state of recovery. It is based on the cumulative load from training and daily activity and it helps find the right balance between training and rest. Despite its small size, Team Pro sensor is a real powerhouse packing a high-frequency 10Hz GPS, 200Hz MEMS motion sensor, Bluetooth LE and heart rate technology with one second data recording. These core metrics help coaches gain a detailed understanding of player performance. All data is broadcasted live via Bluetooth LE technology to your iPad, with a 200-metre range outside on the open field or indoors. It has up to 10 hours battery life. Assisted GPS provides fast GPS fix and extensive live data buffering ensures that out-of-range gaps are covered to create an accurate, efficient and user-friendly experience. Gain a thorough understanding of player performance through Polar sensor fusion technology and proprietary algorithms. They help you track your players’ positioning with GPS, measure speed and distance, heart rate, accelerations, number of maximum sprints, running cadence and distance in dedicated speed zones. Want to learn more about the technology and science behind the Polar Team Pro system? 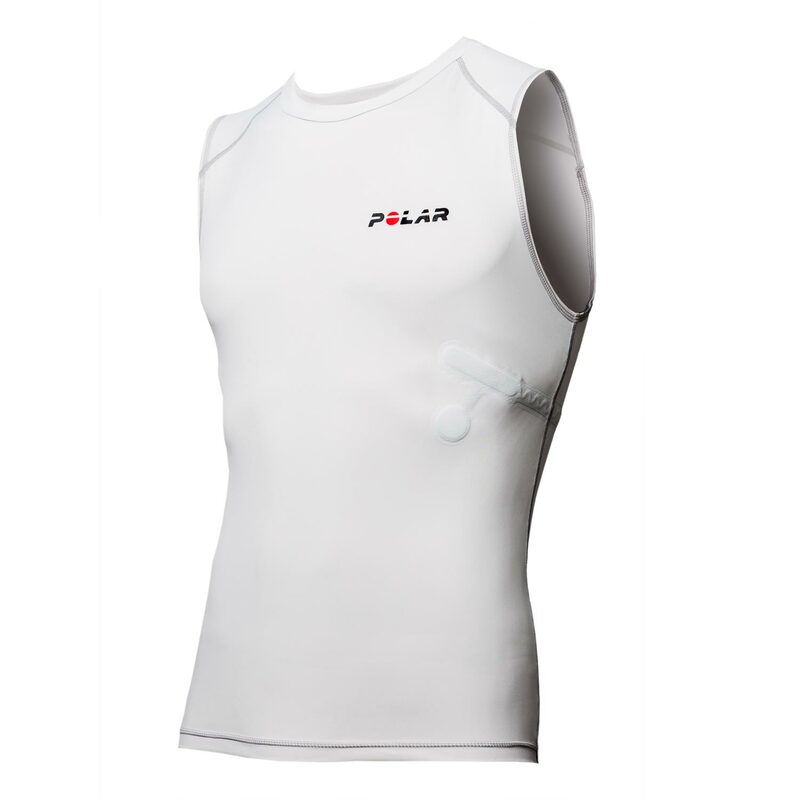 The Polar Team Pro men’s base layer smart shirt comes with seamlessly integrated sensors, to monitor heart rate and a pocket for player tracking sensor located on the upper back for optimal GPS reception. The second skin fit ensures constriction-free movement on the field. While the specific body moisture system keeps players cool no matter what challenge the game throws. This smart shirt also blocks the damaging effects of ultraviolet rays, so players can concentrate in the heat of the game. With the easy-to-use Polar Team Pro app, coaches have access to real-time data and meaningful metrics, so quick and informed decisions can be made on the go. Real-time data on distance covered, number of sprints, max speed and speed zones, makes it easier for coaches to know the total amount of movement clocked up by each athlete. When you combine heart rate data with the GPS and accelerometer derived values, you can monitor the work rate of your athletes and quantify the intensity at which they are performing in training and games. Instant post-session summaries allow for analysis of fundamental individual and team metrics and allow for an objective approach to athlete performance. Weekly training summaries and history offer a simple overview of key performance data. The advanced analysis view enables player comparison and easy scrolling to access in-depth sample data. See player movement patterns with positional heat maps and gain a better understanding of how your players are working together as a team. Comprehensive post-event reporting allows for granular analysis of training and match activities. All performance data is available for the entire coaching staff on a single account. Session profile breakdown graphs, in-depth sample data curves, heat map visualisations, long-term reports on key performance insights and overall training load management capabilities, together create a dynamic and easy-to-use performance management tool for coaches, allowing coaches to retrospectively analyse sessions, as well as planning ahead to ensure the prevention of injuries and to optimise athlete performance. All Polar Team Pro data can be transferred, stored and accessed from our cloud infrastructure. The system offers a single account to manage multiple team rosters and sensor-produced encrypted data with individual and secured login for the entire coaching staff. They get easy access to the information they need in any place at any time on iPad and desktop. When your team uses compatible Polar sports watches, such as Polar Vantage V and M, you can gain a thorough understanding of your players’ overall condition throughout the season. Find the perfect balance between training and rest and have a clearer picture of your players’ recovery status, before getting them out there again. No other athlete tracking system in the world measures player performance data so easily 24/7. Whether you have a proprietary team platform or use third-party technology, Team Pro API links all your performance solutions with Team Pro player data. Team Pro API offers a gateway for third parties to connect with Team Pro specific data. We have been implementing the Polar Team System with the Atlanta Falcons since 2015 with excellent results. The data collected using this system has been an integral part of the player tracking process within our Athletic Performance paradigm. The Polar Team Pro System is used every time our players compete on the field during off-season workouts, as well as during every structured practice throughout the year. Analysis of the data collected allows us to assess conditioning levels, properly prescribe training volume in the off-season, establish valid return to play conditioning parameters and effectively monitor workloads during training camp and in-season practices. The Polar Team Pro System provides teams across all levels of competition the ability to assign numerical values to workloads associated with physical activity and to scientifically structure training and recovery programmes. The NHL season is incredibly gruelling. We play 3-4 times per week and have to fit in time for training and practicing along with travelling. The Polar Team Pro allows us to give objective data to our coaching staff, on the physical toll our athletes go through in practice. This allows us to accurately manipulate volume and intensity to make sure our athletes have the time to recover before the next game. In an era of over abundant analytical information, the Polar Team Pro allows me to get the information I need simply, cleanly, and in real time. I have used Polar heart rate technology since 1996 to help me with my programming. From the technology to the customer support, they are the gold standard in the industry and no one else even comes close. Polar Team Pro has enabled us to capture data quickly and easily by having one sensor that houses heart rate and GPS rather than a separate GPS sensor. The feedback on heart rate coupled with speed and distance means we have a clear picture of player fitness. Using this alongside training load and recovery we can ensure players are working at the right level to improve and maintain their fitness during the season. Working with the Team Pro System has been a game changer for our organisation. Having systems in place for our NHL and AHL teams makes sharing data and information flow much more efficient. The ability to recover information after an on-ice session within minutes of completion is key in keeping our sport coaches involved and aware of physiological metrics that are key in athlete performance. The ability to adjust athlete workload and build training specific to the athlete is key in managing the overall health and well-being of the athlete. Monitoring both the dose and response to training is crucial to understand the effects of training. For us objective measures of the internal load on our athletes could only be delivered reliably across a range of our sports by Polar. This has allowed us to collect information on the different drills that make up practice to assess the response or cost of these on our athletes and feed this information back to the coaches to adjust the dose. This has also helped objectively inform our return to play rehabilitation protocols when different facets of practice and rehab occur concurrently or on different sites. Polar’s move to using smart fabrics and integration of the monitor within a garment removes one barrier to use especially with some of our larger athletes who find the chest strap restrictive.